Indigeneity is usually regarded as the myth shrouded history of foregone cultures. At present, however, it comprises less so misty-eyed movements of a re-ethnicization, but what is most observable rather is a redesigning of cultures almost lost under strain of forced ‘civilizatory’ processes of savages’. 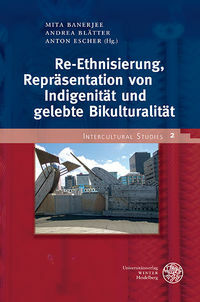 What is the current situation of indigenous cultures in their own self-image and their legal situation? How is indigeneity postcolonially constructed or critically analyzed in literary and cinematic contexts ? Which developments fulfull themselves in the context of a new self-understanding, an emancipation through re-ethnicization in the current sphere of mostly West-embossed societies? From the perspectives of Psychology, Law, American, and Theater studies as well as Ethnology and Cultural Anthropology, situations are described that have not yet received any consideration, where doing so would open up access to a new field of inquiry.